Save production time and labor costs! 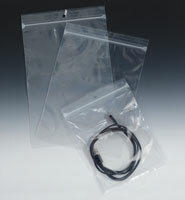 Simply slide or pull bag through adjustable jaws to instantly seal 2-6 mil zipper bags. Maintenance-free, all-aluminum casting has no moving parts. 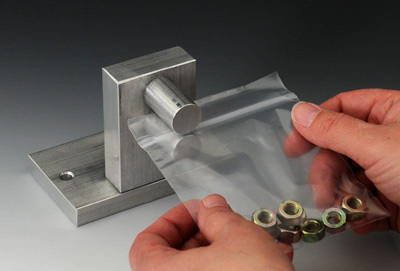 Measures 4-1/4" x 3-7/8" x 3-1/2" and includes mounting holes to attach to work surface. Watch the video below to see how to use the zipper bag closing machine.